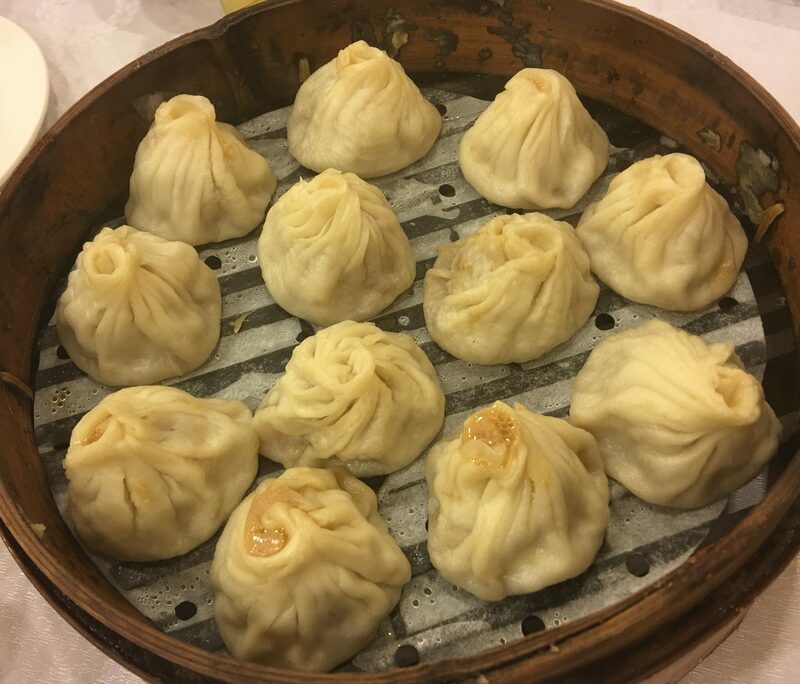 Old school Xiao Long Bao in Shanghai. 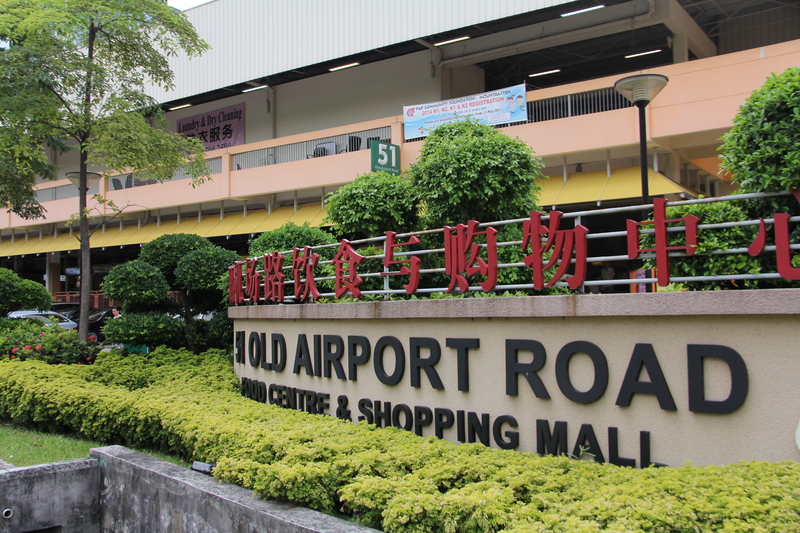 You can take Din Tai Fung and have your modern takes and it’s really good, but what about old school style? 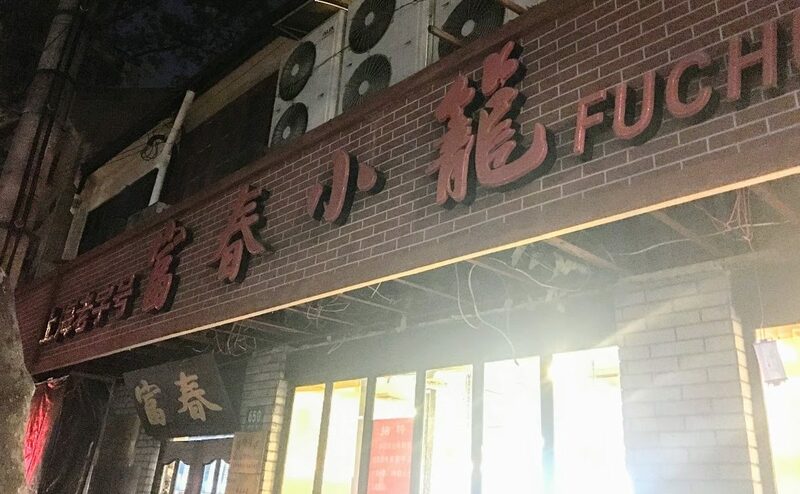 How about Fu Chun Xiao Long near the Hong Qiao area. 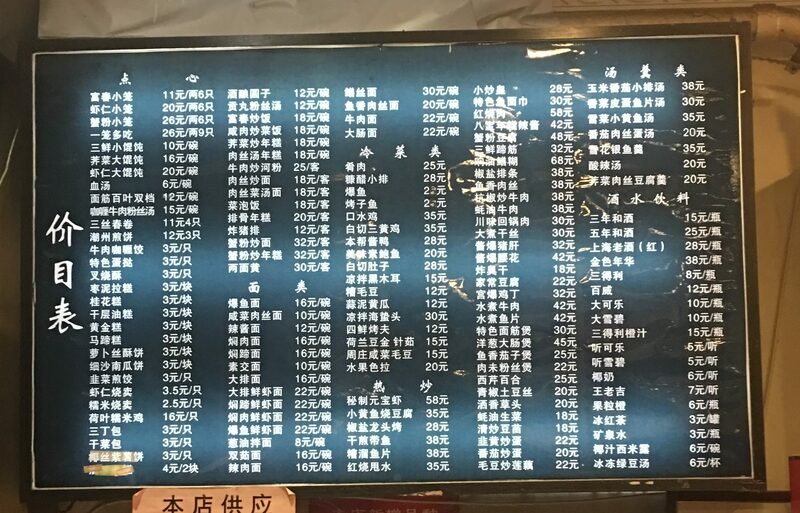 A quick look at their menu. You order to sit down and eat real quick or takeaway. But if you go upstairs, you can sit and order. There’s not a lot of seats, but you can get what you want. 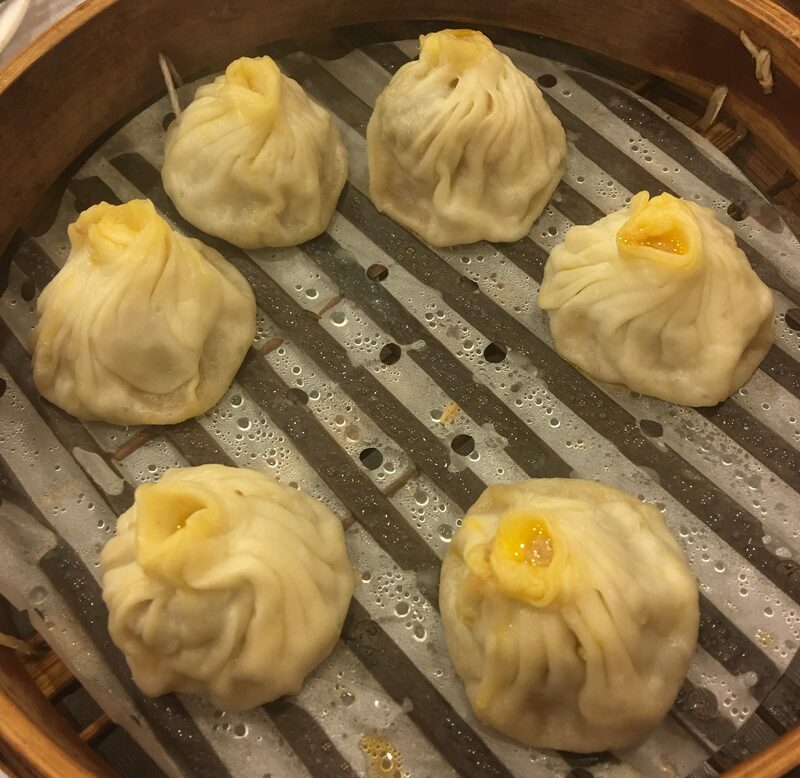 Here is their specialty, the Pork Xiao Long Bao. The skin is a little thicker than some like, I prefer a little thinner skin, but the meat and soup inside is so tasty. 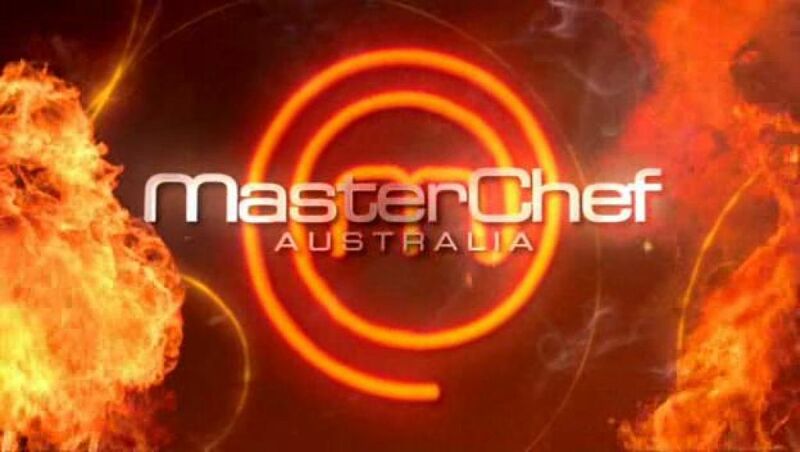 The crab meat version. Also awesome. 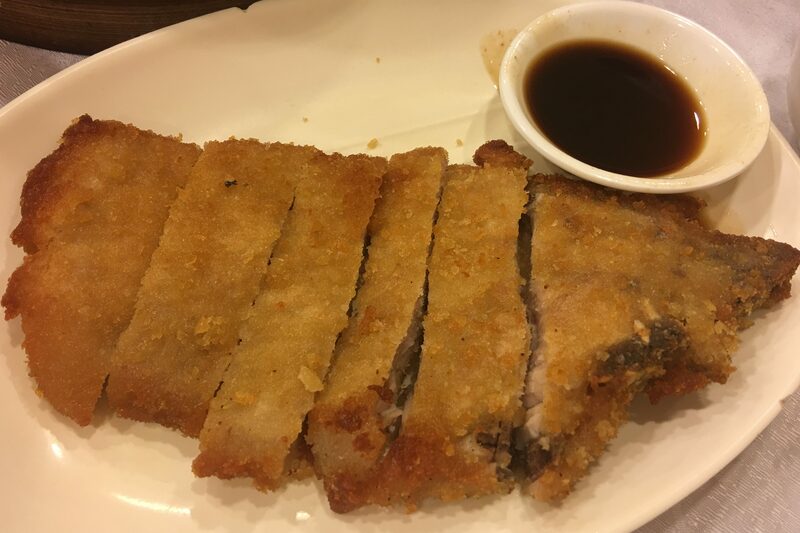 Then they have other traditional fare, such as the Fried Pork Chop. 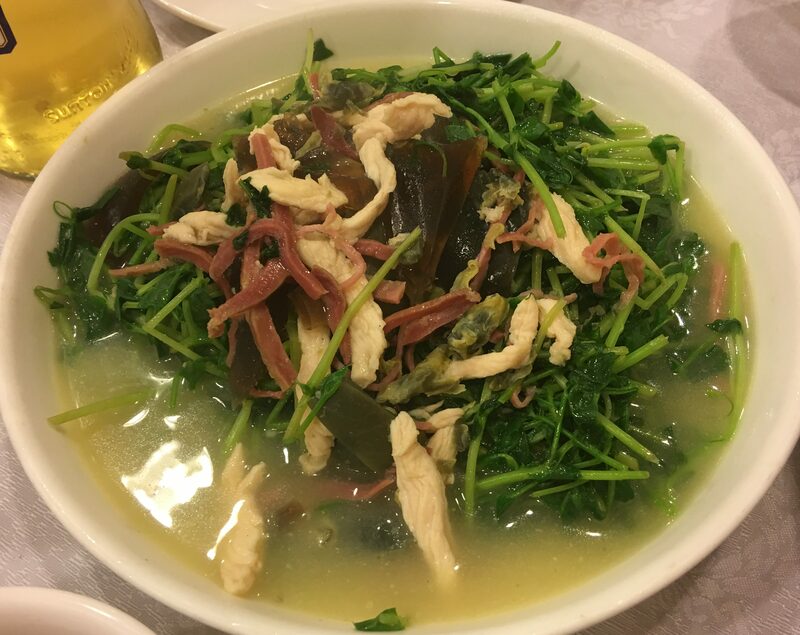 Dou Miao with Chicken, Ham and Century Egg. 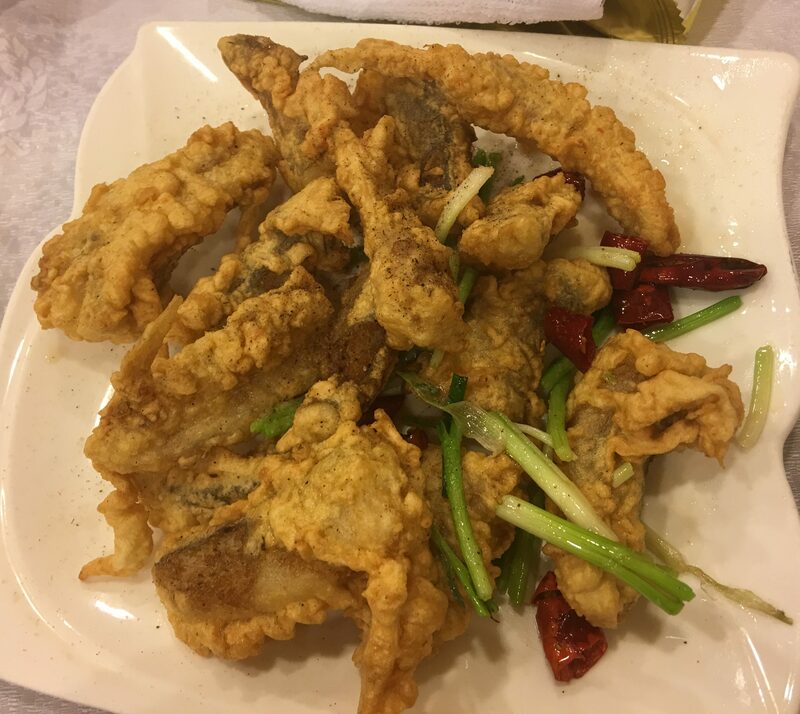 Fried River Fish with Salt, Chili and Pepper. Awesome. 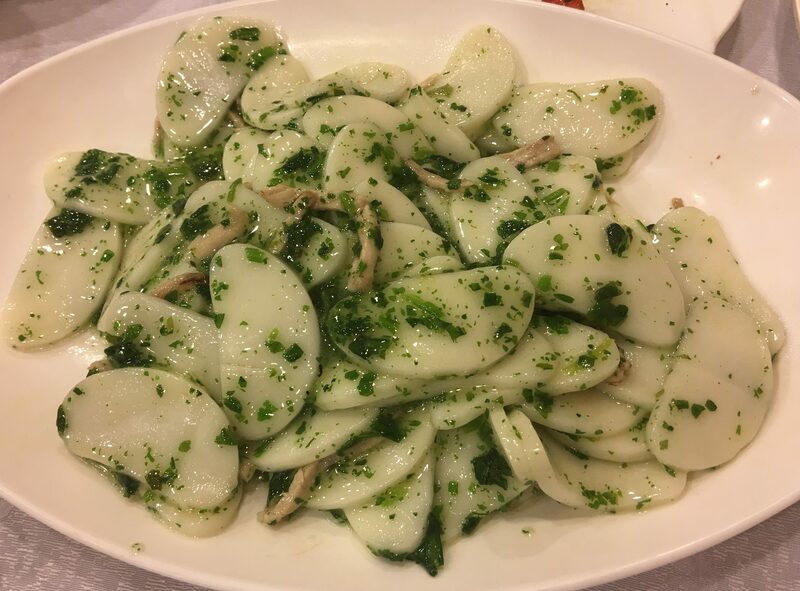 The traditional Shanghai Fried Rice Cake. 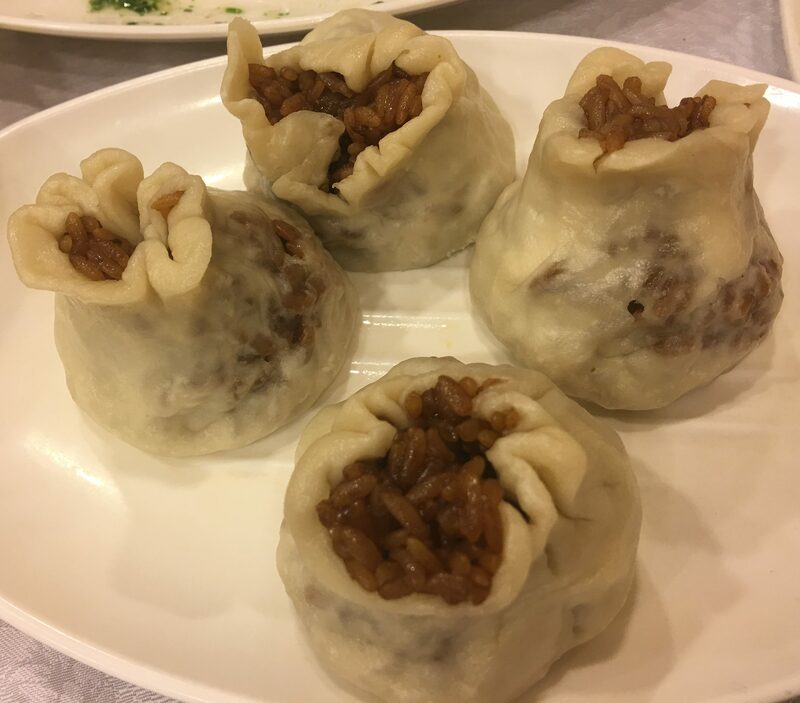 And finally the Glutinous Rice Dumpling. Not my favorite, but worth a try. Old school here. You need to speak Chinese to get what you want. Pointing sometimes can work here, but, you need your language skills here. Posted in Shanghai, Xiao Long BaoTagged China, Shanghai, Xiao Long BaoBookmark the permalink.